We, the undersigned scholars of Graeco-Roman antiquity, respectfully request that you intervene to clean up some of the historical debris left in southeast Europe by the previous U.S. administration. On November 4, 2004, two days after the re-election of President George W. Bush, his administration unilaterally recognized the “Republic of Macedonia.” This action not only abrogated geographic and historic fact, but it also has unleashed a dangerous epidemic of historical revisionism, of which the most obvious symptom is the misappropriation by the government in Skopje of the most famous of Macedonians, Alexander the Great. Rather, Macedonia and Macedonian Greeks have been located for at least 2,500 years just where the modern Greek province of Macedonia is. Exactly this same relationship is true for Attica and Athenian Greeks, Argos and Argive Greeks, Corinth and Corinthian Greeks, etc. We do not understand how the modern inhabitants of ancient Paionia, who speak Slavic – a language introduced into the Balkans about a millennium after the death of Alexander – can claim him as their national hero. 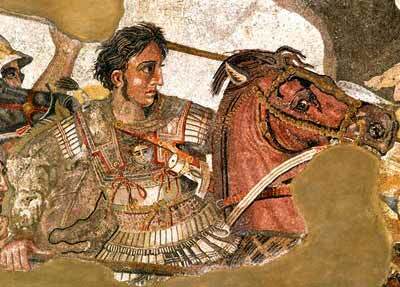 Alexander the Great was thoroughly and indisputably Greek. His great-great-great grandfather, Alexander I, competed in the Olympic Games where participation was limited to Greeks. Even before Alexander I, the Macedonians traced their ancestry to Argos, and many of their kings used the head of Herakles – the quintessential Greek hero – on their coins. Euripides – who died and was buried in Macedonia– wrote his play Archelaos in honor of the great-uncle of Alexander, and in Greek. While in Macedonia, Euripides also wrote the Bacchai, again in Greek. Presumably the Macedonian audience could understand what he wrote and what they heard. 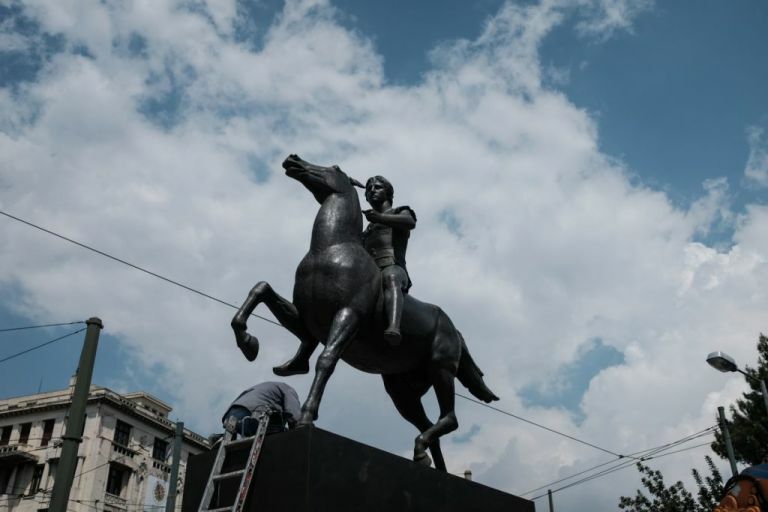 We call upon you, Mr. President, to help – in whatever ways you deem appropriate – the government in Skopje to understand that it cannot build a national identity at the expense of historic truth. Our common international society cannot survive when history is ignored, much less when history is fabricated. Alexander’s father, Philip, won several equestrian victories at Olympia and Delphi, the two most Hellenic of all the sanctuaries in ancient Greece where non-Greeks were not allowed to compete. Even more significantly, Philip was appointed to conduct the Pythian Games at Delphi in 346 B.C. In other words, Alexander the Great’s father and his ancestors were thoroughly Greek. Greek was the language used by Demosthenes and his delegation from Athens when they paid visits to Philip, also in 346 B.C. Another northern Greek, Aristotle, went off to study for nearly 20 years in the Academy of Plato. Aristotle subsequently returned to Macedonia and became the tutor of Alexander III. They used Greek in their classroom which can still be seen near Naoussa in Macedonia. Alexander carried with him throughout his conquests Aristotle’s edition of Homer’s Iliad. Alexander also spread Greek language and culture throughout his empire, founding cities and establishing centers of learning. Hence inscriptions concerning such typical Greek institutions as the gymnasium are found as far away as Afghanistan. They are all written in Greek. The questions follow: Why was Greek the lingua franca all over Alexander’s empire if he was a “Macedonian”? Why was the New Testament, for example, written in Greek? 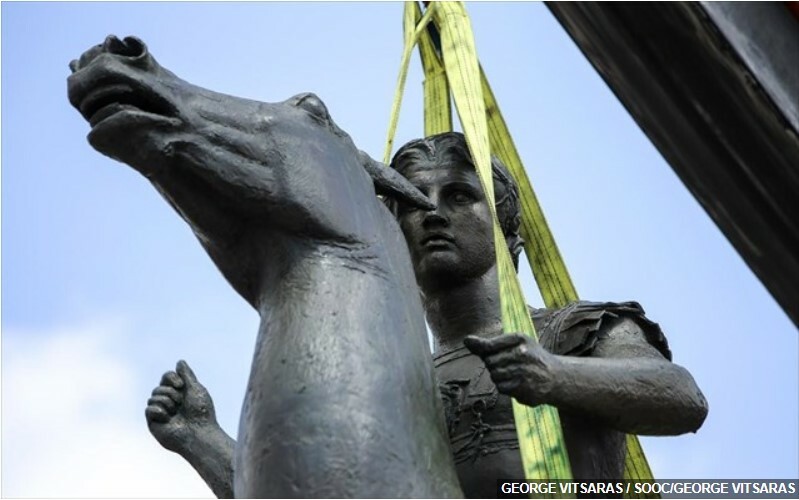 The answers are clear: Alexander the Great was Greek, not Slavic, and Slavs and their language were nowhere near Alexander or his homeland until 1000 years later. This brings us back to the geographic area known in antiquity as Paionia. Why would the people who live there now call themselves Macedonians and their land Macedonia? 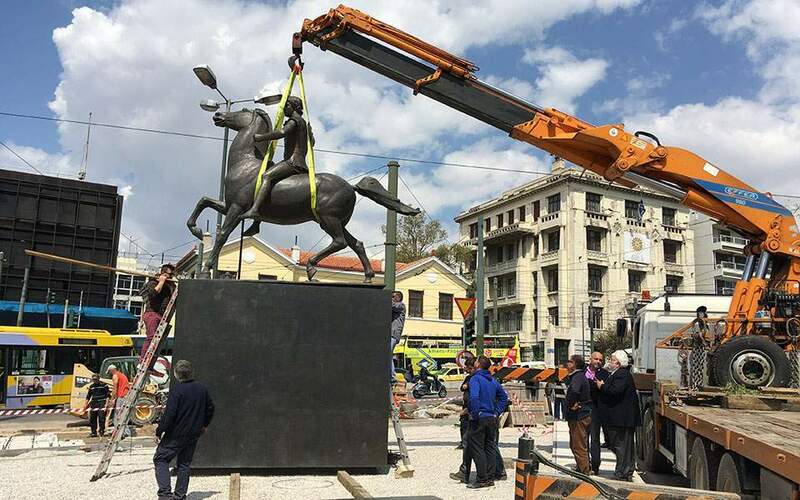 Why would they abduct a completely Greek figure and make him their national hero? The ancient Paionians may or may not have been Greek, but they certainly became Greekish, and they were never Slavs. They were also not Macedonians. Ancient Paionia was a part of the Macedonian Empire. So were Ionia and Syria and Palestine and Egypt and Mesopotamia and Babylonia and Bactria and many more. They may thus have become “Macedonian” temporarily, but none was ever “Macedonia”. The theft of Philip and Alexander by a land that was never Macedonia cannot be justified. The traditions of ancient Paionia could be adopted by the current residents of that geographical area with considerable justification. But the extension of the geographic term “Macedonia” to cover southern Yugoslavia cannot. Even in the late 19th century, this misuse implied unhealthy territorial aspirations. The same motivation is to be seen in school maps that show the pseudo-greater Macedonia, stretching from Skopje to Mt. Olympus and labeled in Slavic. The same map and its claims are in calendars, bumper stickers, bank notes, etc., that have been circulating in the new state ever since it declared its independence from Yugoslavia in 1991. Why would a poor land-locked new state attempt such historical nonsense? Why would it brazenly mock and provoke its neighbor? However one might like to characterize such behavior, it is clearly not a force for historical accuracy, nor for stability in the Balkans. It is sad that the United States of America has abetted and encouraged such behavior. Evil seed of Juninistanians a.k.a. Egyptians is spreading around the lies and fake theories. But God is one, and he is protecting the righteous and humble God’s people. We will survive all this attacks from Satan’s children! God Bless Macedonia!!! Shame, but at least we’re still getting a copy at all. Barack Obama for me is the most charismatic president to be ever elected. He also makes great decisions, for example in the ecomomic stimulus package to counter the effects of recession. i admire Barack Obama because he is very charismatic and he is liberal minded. i would have to say that Barack Obama is a thousand times better than George Bush. Barack is also a very charismatic leader. It despises me to witness such violation of history, where a nation more than 3000 years old, is being harassed by a country with no self-respect and dignity. Macedonia is a region in the Balkans, which has parts in Greece (50%), FYROM (30%), Bulgaria (20%). The nation of FYROM, could gladly use the name “North Macedonia”, or “Slavic Macedonia”. 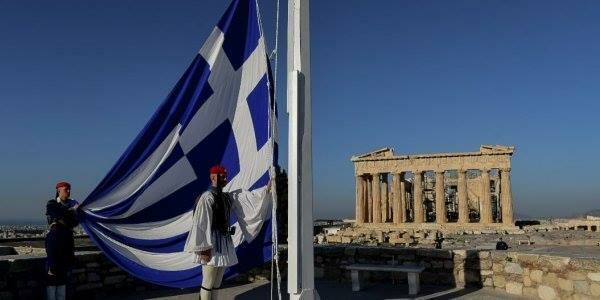 Yet it has no right to steal the history of Hellas. They have no proof, no evidence of anything, and the it’s new generations are brainwashed with propaganda about the truth of this region. This Slavic Nation, has a history. The Slavs came in that region in the 5th century, long after Alexander. Some refuse to admit that they originate from these slavs, yet they use the slavic language. They do not realise that they have no self-respect, by neglecting their true identity, and Greeks keep bringing up evidence to prove the real history of this region, and the reply from FYROM, is similar to the one by Ljupko here. I find it pittiful, and im surprised other countries don’t acknowledge all this, although lately they are starting to open their eyes. FYROM. You don’t know what you are. You don’t know who you are, and you will never learn. I find amusing, the fact that Macedonian is a greek word, that originates from the greek word Μακεδνός (Makednos), which means tall. Yet you use the word Macedonian as your name, and at the same time you refuse any connection to Greece, well heat my words FYROM, no Slav of your kind has ever walked, lived and prospered in the lands you claim to own. You shall never see the Aegean. Never shall you inhabit our proud cities and never shall you step into Greece, without feeling you are a barbarian. So, what we see is a foolish, poor, weak, brain-washed nation that basically tries to steal it’s identity, and refuses to accept it’s own. Anyone from FYROM who would like to reply to this text, please, i would love to hear your side of the story. Yet i expect facts, truths and sources, and not some hill-billy who’s saying stupidities. Yet i do not expect any reply worth reading, so please, prove me wrong. Macedonia is a region. FYROM does not inhabit Macedonia. It inhabits a part of it. Alexander was an ancient Macedon, who spoke greek, worshipped greek gods, united Greece, and spread Hellinism across the world. So either accept the fact that you have no connection to him and our nation, or since you have stolen your name, you might as well adopt the Greek language, the Greek values, the Greek Pride and call yourselves Greeks. To you it would be an honor you would refuse at once. To us it would be a disgrace to see our honored name on the face of some people with no dignity. That is all i have to say. I pitty you FYRO(M). I pitty you. My dear friend Popadinovski, first of all, I want to let you know that we are proud to be called GREEKS. Secondly, I think you would be proud to be called a Greek too, if you knew the etymon of the word OR maybe this is what you want, is it not? YOU DREAM THAT ONE DAY YOUR CHILDREN OR YOUR GRAND CHILDREN WILL BE CALLED GREEKS. I, myself, do agree that you take the name Macedonia and that you be called Greeks under two conditions. That you learn Greek and that you make the Greek language the official language of your country. 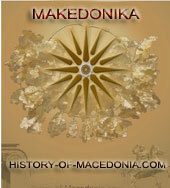 IF YOU DO NOT DO ALL THESE, HOW CAN YOU READ ABOUT THE HISTORY OF MACEDONIA? By tha way, your name Popadinovski spelled this way is meaningless. If you want it to mean something do change the first o to an a. PAPADINOVSKI. YOUR GRAND CHILDREN WILL BE PROUD HAVING SUCH A NAME. ….YES, YOU DID GESS RIGHT, IT IS GREEK. I have met many “Ljupcos” in my life and every time they become the senders of the same message. Zero IQ, No Common Sense, No contact with reality, hence No hope for them!! Just an endless, boring, monologue detached from any reality which shows everybody the fascist/racist enviroment these “Ljupcos” have been nurtured since their birth. Why should someone even bother to explain to this grand-fool that the vast majority of the world’s Greco-Roman Historical Community is in that list. Who has ever explained to this fool inflicted with an apparent mental defectiveness that his grand-racist so-called scholars that he, so foolishly believes, are the laughing stock of the World like exactly he is. Hope Greece slams the door of EU and NATO on their Stupid faces and leave these Racist FYROMian dimwits where they belong. In Isolation! You are all trying (greeks, serbs and bulgarians) to wash the Macedonian blood of your hands by writing such stupid letters. We in Republic of Macedonia are laughing on you and on this letter. The facts that your scholars are presenting here are pale and rejected by the wast majority of the world scientific family. Now what you have to do… Everyday till the rest of your lives when you wake up, go to the mirror in the morning and say: We failed in assimilating the Macedonians. Then maybe god will forgive you for the genocide that you all did. This letter is an extraordinary starting point for practical policy. At the same time, it expresses a broad-camp consensus in the international academia regarding the divergence between Ancient Macedonia and modern-day Slavs of Povardarje. I translated the text in FYROMian language [ http://vardaraxios.wordpress.com/2009/05/21/pismo-na-svetski-akademici-do-barak-obama-protiv-psevdomakedonizmot/ ] and placed it on dozen of most frequented FYROMian forums. In most cases, the answers contained a certain disillusionment, certain realization that the Pseudomacedonism is a fallacy, a bankrupt ideology for internal consumption, without value within scholarly institutions. As you may realize, this was not reported on FYROMian media. Οἱ ἑλληνες τῶν ΗΠΑ δὲν ἔχουν πρὰξει τὰ χρὲοντα διὰ τὴν ἐπὶτευξιν ἐπικουρὶας τοῦ ἑλληνισμοῦ. Ἔχουν ἐπιτρὲψει σὲ ἀνθὲλληνες ταγοὺς νὰ ἡγοῦνται αυτῶν με ἀποτὲλεσμα νὰ βὰλλεται ὁ Ἑλληνισμὸς. Δὲν ἐπιτρὲπεται νὰ νομὶζουν ὄτι εἶναι ἐνωμὲνοι ἐνω στὴν πραγματικὸτητα δὲν εἶναι. Οἱ ρασοφὸροι ταγοὶ νοιὰζονται γιὰ τὴν δικὴ τους θρησκεὶα καὶ ὄχι γιὰ τὸν Ἑλληνισμὸ. 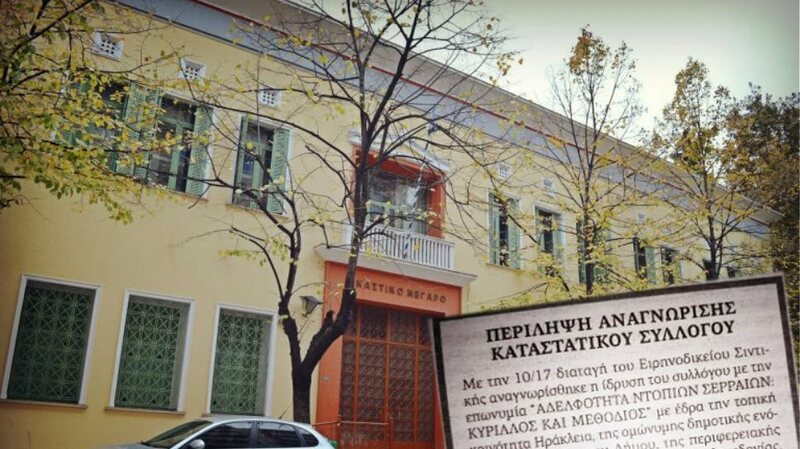 Χριστοῦ δὲ παρόντος Ἑλληνισμὸς ἠφανίζετο. Οἱ ΕΛΛΗΝΕΣ τῶν ΗΠΑ οφεὶλουν νὰ ἐνωθοῦν καὶ νὰ στὲλνουν τὴν δικὴ τους ἐπιστολὴ σὲ ὄλους τοὺ Ὑποψηφὶους προὲδρους κὰθε τὲσσερα χρὸνια πρὸς ὄφελος τοῦ ΕΛΛΗΝΙΣΜΟΥ. The position espoused by members of the international academic community, as evidenced by this letter, sheds a revealing light on the historically inaccurate tactics used by nationalists from FYROM. It is amusing to read diatribes put forth by FYROM radical nationalist who wish to downplay the significance of 200+ international academics supporting Prof Miller’s letter. It is even more amusing to observe the attempts of FYROM apologists to discredit Prof Miller and the hundreds of world class academics who support his position. These attempts to discredit become truly comical when one considers that the more prominent of these apologists are not even honest enough to publish under their real names, do not have any formal credentials in the fields of history and archaeology, and henceforth have never been peer reviewed in the disciplines that Miller et al have dedicated their careers (and lives) to. It is obvious that this letter, and the support it has garnered, is a devastating blow to FYROM nationalists who wish to dupe the unsuspecting international community into believing that the Slavic population of FYROM is somehow related to Alexander the Great and ancient Macedonia. The absurd claim of a cultural/genealogical relationship to ancient Macedonia, as put forth by the government of FYROM and radical diaspora nationalists, is an implicit pretense to lay claim to the Greek province of Macedonia where the ancient Macedonian kingdom was located. 1. For most of the past 20 centuries Skopje was not considered to be a part of geographic Macedonia. As a matter of fact most of the geographic region of FYROM was not included in dozens of contemporary depictions of Macedonia that were composed by various European cartographers prior to the 19th century. 2. There are no first hand accounts or historical texts authored prior the 20th century that recorded ‘ethnic Macedonians’ as forming any significant population component in the geographic region of ‘Macedonia’, including Skopje, as nationalists from FYROM would define it. In light of these simple facts, and in light of Prof. Miller’s widely supported letter, the version of history being promoted by official FYROM institutions is absurd and genuinely dishonest. What is even more absurd are amateurs and weekend historians claiming that they know better than Miller et al when they have absolutely no qualifications and no support from any serious objective historian to support their national mythical historiography. Between 216 real Classical Scholars and 2-3 Slavs (W. Bulgarians) with no degree in history, but a record of antigreek fairytales, the conclusion who is right and who is lying is clear. THANKS TO THE 216 EMINENT PROFESSORS AND ACADEMICS FOR SETTING THE RECORD STRAIGHT. World Academia spoke and condemned the unhistorical crap of FYROM’s propagandists. FYROM has essentially became the laughing stock of the world. WOW…that letter and the signatures of the Classical Scholars will become the nighmare of the West-Bulgarians AKA Vardarskans….great job.